There are two things puppies need : hope and ice cream. Well, at least Teemo thinks he needs ice cream. 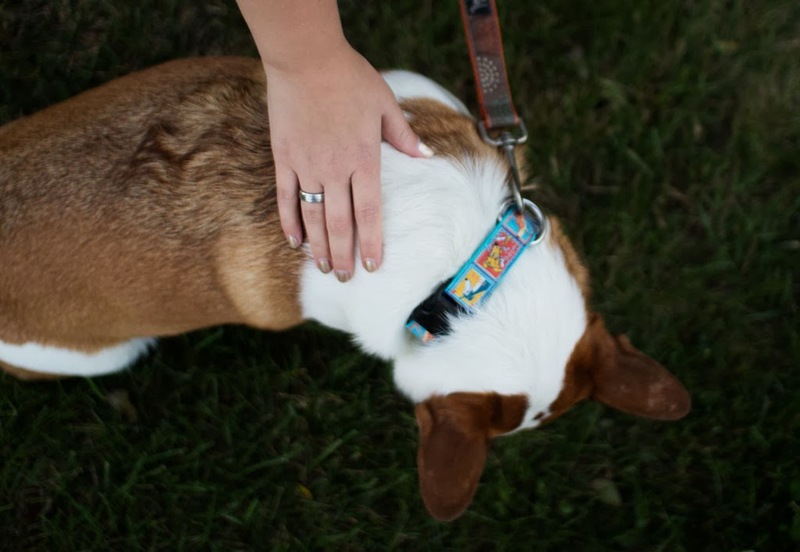 This collar is not only darn adorable, it's a helping hands to dogs. 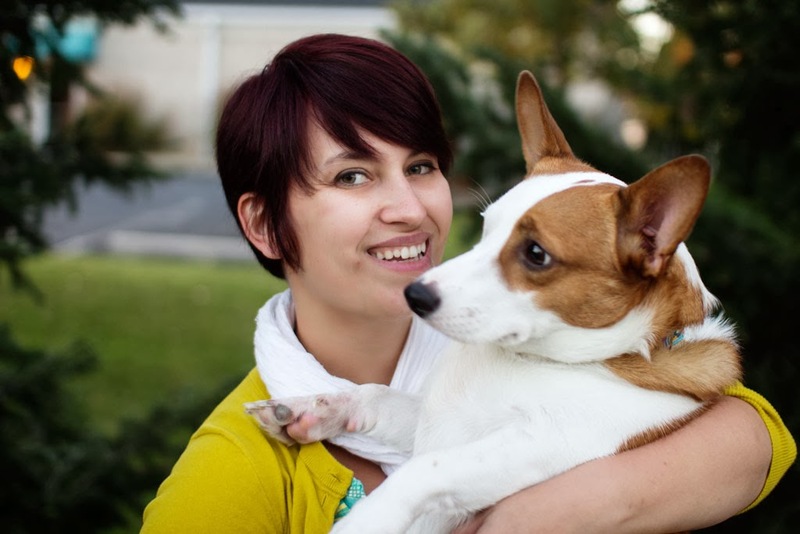 With $5 of each sale (she donates $10 before a certain time with each new collar launch) going to finding a cure for dog cancer, 2 Hounds Design has a nice product with an even nicer cause. They have a lot of other designs though - available in a variety of sizes for little and big dogs alike. But, I love the design of the 2013 Hope for Hounds collar - it's my favorite in their line because of the really individual stamp like design, I haven't seen much like it. The colors are so bright and fun too - so to try and compliment Teemo I put on so bright aqua and yellow to match. You look lovely! That dress is so sweet. Paired with the cardigan? Perfect! So lovely!! The collar is too cute, and I love the cardigan with this dress!! 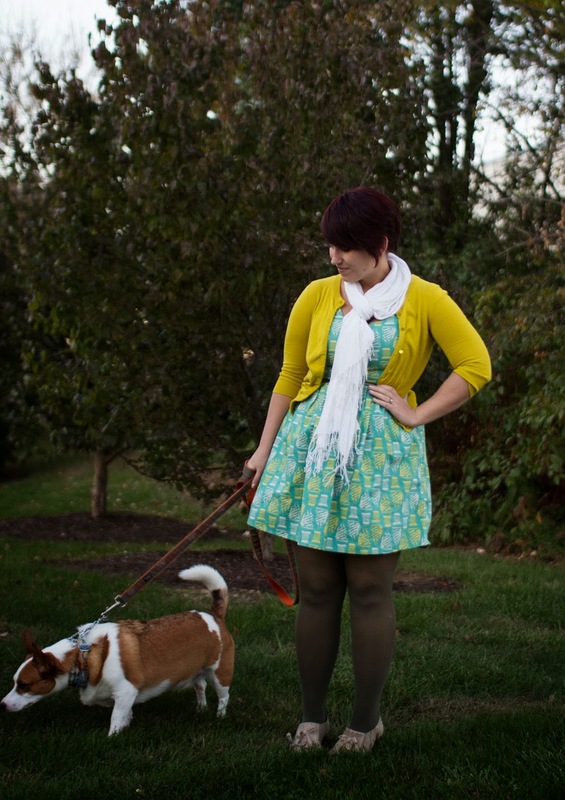 I always have trouble making more summery dresses like this one transition into cooler months, but this looks perfect. Oh, what a lovely collar and how nice they do it for a cause. You outfit is, of course, lovely as can be! Aw adorable puppy! and how cute is that collar!? 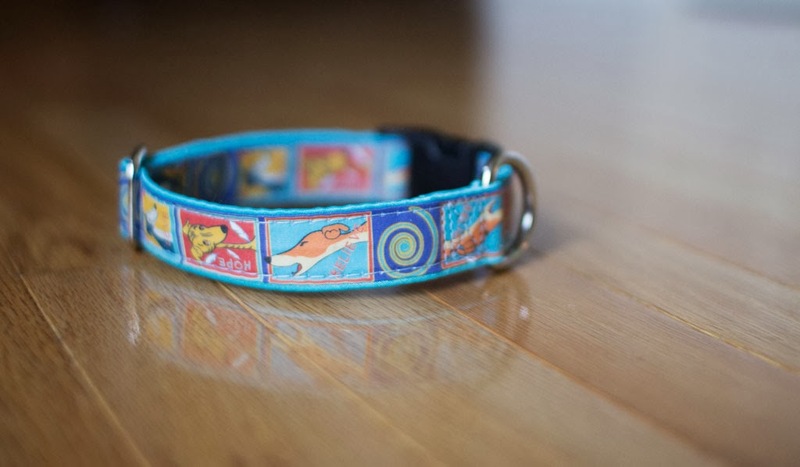 such a cute collar and love how some of the sales goes to help dogs. The colours in this outfit are gorgeous, that cardigan is wonderful!! 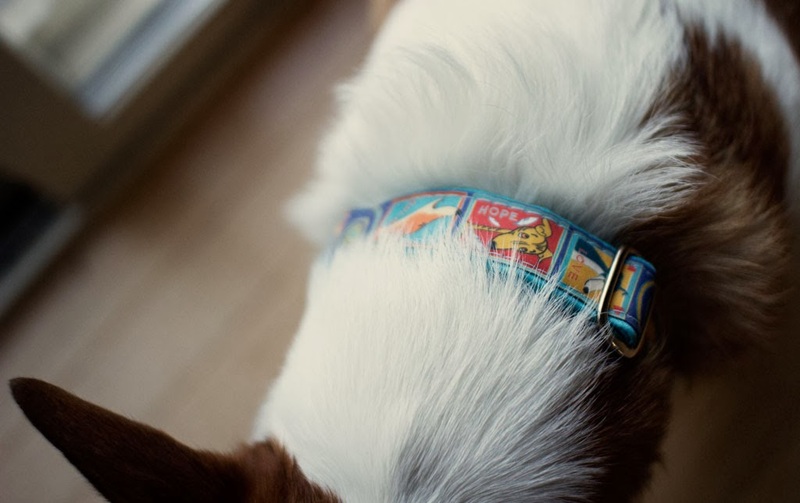 And I love teemo's collar, such a fun one, Mr.Duke needs a new one!